The Only Thing That Really Matters in Playing Better Golf! Yes Bobby, I’m Ready to Transform My Game! Bobby gives a personal demonstration of his revolutionary IMPACT-BASED™ teaching and The 5 Dynamics that are essential to becoming a great ballstriker. Work “one-on-one” with Bobby as he guides you through the drills and secrets that will help you master The 5 Dynamics. Become part of the clinic as Bobby teaches and a group of amateurs to show how easy it is to improve your impact through The 5 Dynamics. You’ll learn a powerful drill that can quickly improve your ball-striking. Bobby walks you through 4 sequential steps helping you create a consistent and powerful dynamic impact. and get into your zone with IMPACT-BASED™ teaching dynamics. With so many contradictory theories, it’s no wonder that so many golfers are quitting the game. They’re confused as to which style or method is better, or which one is right for them. But when you watch the best players in the world, one thing becomes very clear: even though swing styles vary greatly, what they create at impact is virtually the same. Most traditional teaching methods don’t include any concept of what impact really is. Impact is the moment of truth, and it’s the only thing that really matters in playing better golf. The Impact Zone™ training system is a unique instructional guide that teaches sound swing dynamics... not swing style. The system will help you understand what proper impact is, and how you can achieve it, regardless of your swing style when you use Bobby’s Five-Dynamic System. This program takes an unprecedented look at the most important six inches in golf, those that immediately precede, contain, and follow impact. Stop fiddling around with what your swing “looks” like. The golf ball doesn’t care if your follow-through is ugly or if your backswing is awkward. The golf ball doesn’t care if your swing is pretty. It never has. Just ask Gary Player and Jim Furyk and just about every PGA Touring Pro who has ever played. The only thing that matters to the golf ball is what happens when your club face slams into it. That’s impact. That critical split second that will determine if you’re hitting the fairway or the bunker. Impact is what separates eagles from double-bogeys. What happens at impact can drop your ball right next to the pin, or right next to the nearest tree. When it comes to ball-striking, nothing else matters. Impact is the only thing that separates good shots from bad shots. And there is absolutely no better way to improve your impact than with The Impact Zone™ Training System by PGA Tour veteran Bobby Clampett. Proof Positive Bobby Clampett’s Methods Work! Don’t decide now… just take it for a test drive! 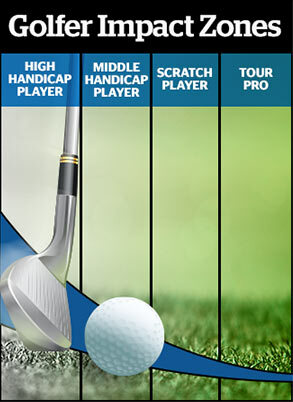 You’ve got a full year to try the incredible Impact Zone Golf Coaching System! Practice the drills, visualize the motions, absorb the philosophy – really put it to the test. Here’s your chance to prove Bobby right or wrong…One Hundred Percent RISK-FREE. Put these simple concepts to work in your game and if you’re not absolutely THRILLED with the improvements in your drives, your accuracy and consistency – at ANY time during the next 365 days – then simply return it for a full refund of your purchase price. Stop wasting your money on lessons that make your swing “look” pretty and start learning how to make your swing “perform” well. Get The IMPACT ZONE from Bobby Clampett and unlock your true golf potential. With The Impact Zone Golf Guarantee, I get 365 days to test the incredible training system RISK-FREE! You’ll also get instant online access to your videos - so you can start your training now! As soon as you complete your order, you’ll receive a streaming link that you can use immediately. Included with Your DVD Order! “Digital Only” orders will include all training and bonuses, but no physical DVDs will be sent to you. You will receive login information for online access to these videos. Yes! I'm Ready to Transform My Game! Important to Note: While we do believe and have seen proof that the materials we provide and the products we promote can safely improve the golf games of our subscribers, please understand that not everyone will experience the exact same results. The system requires effort and proper use to achieve optimal results. We therefore do not take responsibility for injuries, handicap increases, game losses or any other “less than ideal” impact on you or your game.